Are you going to Phoenix Comic Con this weekend? Stop by my table (Artist Alley 107) and say hello! 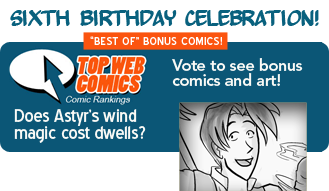 This week's bonus vote comic: How does Astyr's wind magic work cost-wise?